1855: Nine high class Snohomish men sign the Treaty of Point Elliott. 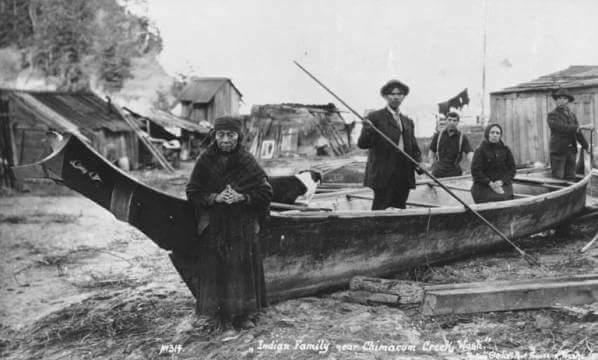 The Snohomish are promised land different than the Tulalip reservation. 1860: Simmon's report recommends against a separate Snohomish reservation. 1873: Pres. 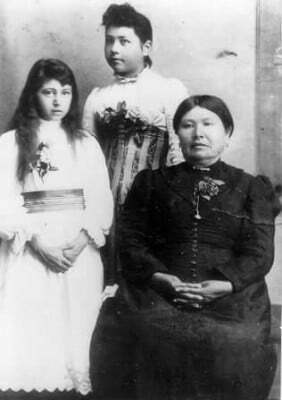 Grant issues Executive Order establishing general reservation at Tulalip as the "Tulalip Confederated Tribe"
1883: First allotments are made and only the Snohomish receive the smaller 40-acre allotments. 1887: Dawes Severability Act allows allotment off-reservation. Requires denouncing being "indian". Homestead and off-reservations allotments made. 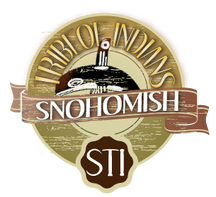 1927: The Snohomish Tribe of Indians is Incorporated with more than 400 members. 1950: Formal meeting Acting Superintendent F.A. Gross announcing that the Snohomish had one year to file claim with Indian Claims Commission. Snohomish member Captain Elwell to secure allotments for Snohomish Tribe in Claims Court. 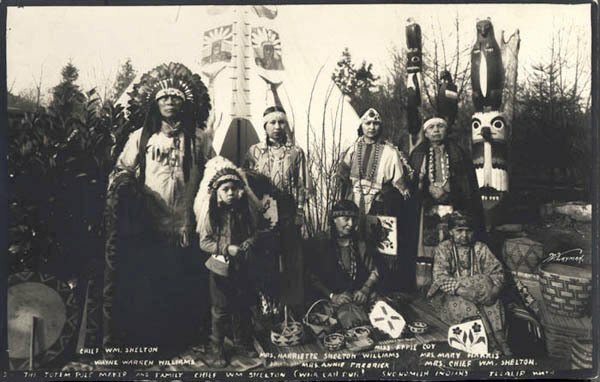 1959: The Snohomish Tribe of Indians unanimously refused a government land offer and appeals the decision. Senate Resolution #3 was voted down. 1967: Indian Claims Commission judgement awarded and possibility of a reservation continues to be investigated. 1979: Dispersal of Indian Claims Commission Act of about about $232 per enrolled member. The U.S. Government considers this to be final payment/recognition. 1980: Forestry service donates $87,000 for a land survey. 1986: Recognized tribes offer support and/or Resolutions supporting recognition are on file from the superintendent of the Puget Sound Agency, The Shoalwater Bay Tribe, The Stillaguamish Tribe, The Jamestown S'Klallam Tribe and the Confederated Tribes of Grand Ronde. 2006: Appeals continue. Legal action in Federal Court to restore recognition.